A hexagonal extruded wax marker that is ideal for timber, rock, rough surfaces and railroad marking. Each marker is 120mm x 13mm in size. And available in red, yellow, black, blue, white, green, brown, purple and orange. 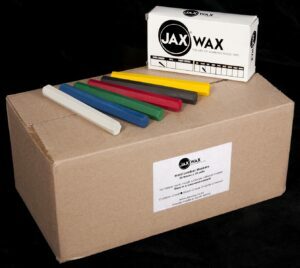 For our wholesale clients the markers are packed 10 per box, 20 boxes per case = 200 markers. The dimensions of this case are 300 x 165 x 140 and weights 6kg. Should you wish to purchase a single crayon or a box of 10, head over to our online store.